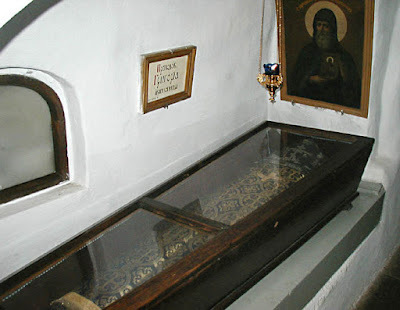 Saint Gregory the Iconographer of the Kiev Caves Lavra is said to have been an associate of Saint Alypius the Iconographer of the Kiev Caves (Aug. 17), but there really is no basis for this assertion. In the “Accounts of the Holy Iconographers”, written in the early eighteenth century, it says that he painted many wonderworking icons throughout the Russian Land and his relics were incorrupt. The time of Gregory's life is not known exactly, in various sources the dates of his death are in 1074 or 1105, but they have no basis. His sacred relics lie in the Near Caves of Saint Anthony. 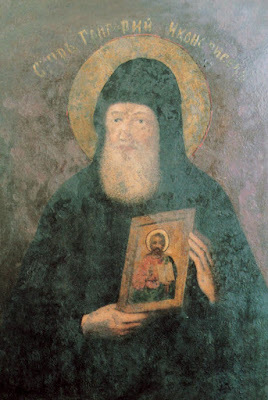 In the Ninth Ode of the Canon of the Service of the Synaxis of the Kiev Caves Monastics Venerated in the Near Caves (Sept. 28), Saint Gregory is called a “Byzantine.” This probably means that he was among the number of iconographers who had come from Constantinople to Kiev to embellish the main church of the Monastery of the Dormition of the Most Holy Theotokos.